Filmmakers attempting to return to the series’ that made them famous don’t tend to work out well. George Lucas made something of a dog’s breakfast with the Star Wars prequels and Ridley Scott’s Prometheus tried to excise its Alien connections until the movie didn’t make sense. I assumed that would be the case with George Miller’s return to Mad Max. Mad Max Fury Road made those concerns seem foolish. Fury Road feels like Miller was storing up energy for decades and it all explodes into one powerful, muscular movie. Mad Max Fury Road shows up every action movie of the last decade, making them look tame and heartless. It manages to tell a more coherent story than nearly any other blockbuster with something like one tenth of the dialogue. It is never pandering or wasteful, just pure essential action. It is an exhilarating rush unlike anything in years. Tom Hardy stars as Max, a former cop turned loner in a post-apocalyptic world that is haunted by visions of his dead family. He is captured by a group of Immortan Joe’s War Boys and becomes their prisoner and “blood bag.” When Imperator Furiosa (Charlize Theron) frees Tom’s breeder wives and heads for “The Green Place” the War Boys, with Max in tow, tear off after her, igniting the chase that takes up the rest of the film. For the simplicity of its plot, Fury Road tells a fairly complex tale. There are probably fewer lines in this whole move than are spoken by just Iron Man in Avengers: Age of Ultron, but you learn more about the characters here despite how little they say. In something of a shocker for a modern action movie, the characters actually have arcs. Nux, a War Boy that ends up enmeshed with Max and Furiosa, starts out as a full-fledged believer in Immortan Joe’s homecooked religion. He wants nothing more than to die in service to the Warlord, so he can live again in Valhalla, shiny and chrome. He is crushed when he fails in front of his hero, then crushed even more as he comes to realize that maybe Immortan is not as all powerful as he claims. By the end of the movie, he has freed himself from Immortan Joe’s self-serving thumb. The wives also have arcs to go through, at first overwhelmed by the world outside of the Citadel where they had been held, but each of the five moves on in their own way, all of them becoming more self-reliant. Max goes through quite the change as well, starting the movie as all but feral and by the end coming to once again see some hope in the idea of human society. The only one of the main characters that doesn’t change over the course of the movie is Furiosa. Theron’s character is completely unforgettable, but her change has happened before the movie starts. Once she takes the wives from the Citadel she is set on her path. Still, she is the character that the viewer latches onto. The biggest drawn is the action and Fury Road absolutely delivers. Nearly the entire movie is the chase, and its three big action sequences are exquisite. There is little weightless CGI, the movie is largely done with practical effects. It makes everything feel all the more real, since much of it is. Nothing is pointless or extraneous. It plays out like a delicate ballet of destruction, both exhilarating and by the end a little exhausting. The characters on screen are tired from their ordeal and the viewer feels that as well, the action is so visceral one can’t help but get swept up. I have praised action movies before, but Mad Max Fury Road makes me realize how empty most of the genre has been for years. The joyous absurdity of Furious 7 feels pales to Fury Road, and it makes Avengers Age of Ultron look sick. There is no scene in either of those that touches any of the action sequences in Fury Road. 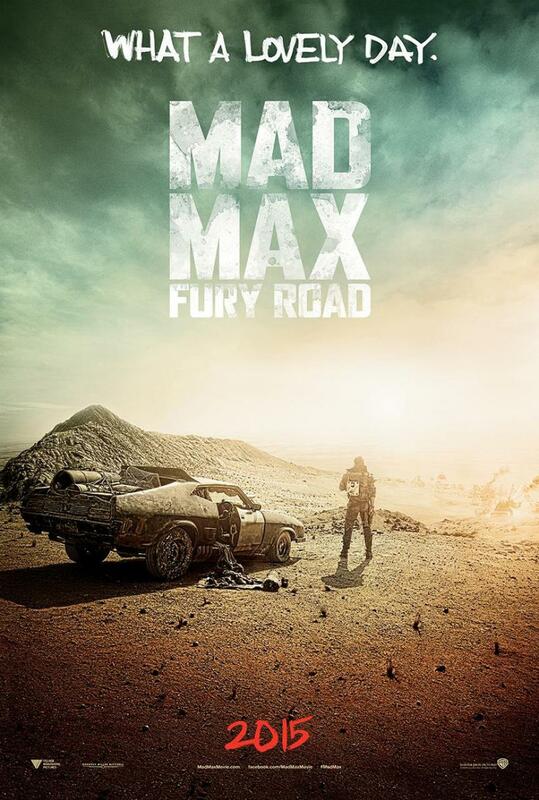 They might be fun, enjoyable movies, but Mad Max Fury Road is on another plane of existence entirely.